It is widely accepted that management concepts such as strategic management, human resource management and management development have a well-defined body of knowledge designed to inform management praxis, however the notion of efficiency has no such body of knowledge to support its application within management praxis. 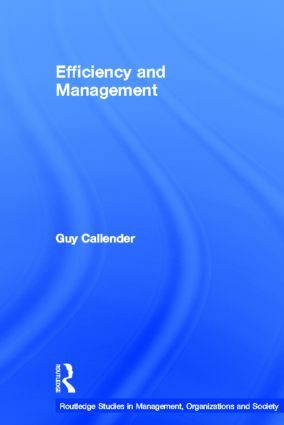 This book proposes the replacement of the generalised term efficiency with the more comprehensive notion of performance efficiency to provide a reliable basis on which to evaluate management behaviour. Given the scope of the investigation, the outcome is not designed to prove the success or failure of the inherent nature of efficiency, but rather to establish a new starting point for yet wider empirical research. At a macro-level, it advances the proposition that the notion of efficiency has become an ideological statement of support for any management intention rather than a practical means to inform or evaluate a range of management actions.